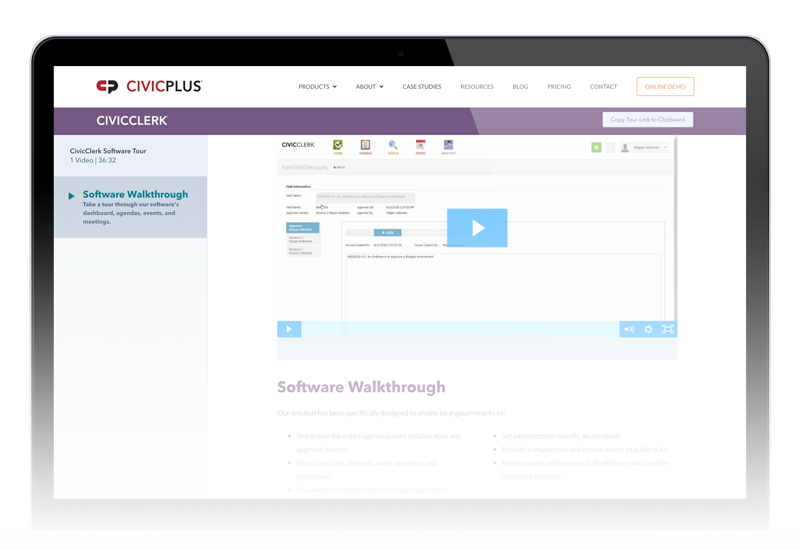 In this video demo series, learn what makes CivicClerk the most flexible, powerful, and innovative agendas & meetings software built for local government. Agenda Management – automate and manage meeting agendas and packets with a simple, consistent process while eliminating time-consuming manual tasks. Meeting Minutes Management – create, manage, and finalize your board meeting minutes before, during, or after meetings ends. Board and Citizen Portal – give board members the personal access they need to view and manage content while providing citizens the convenient, on-demand access they need to remain informed and engaged. Electronic Voting – allow for greater meeting efficiency and decision-making by enabling board members to vote electronically from any connected device.